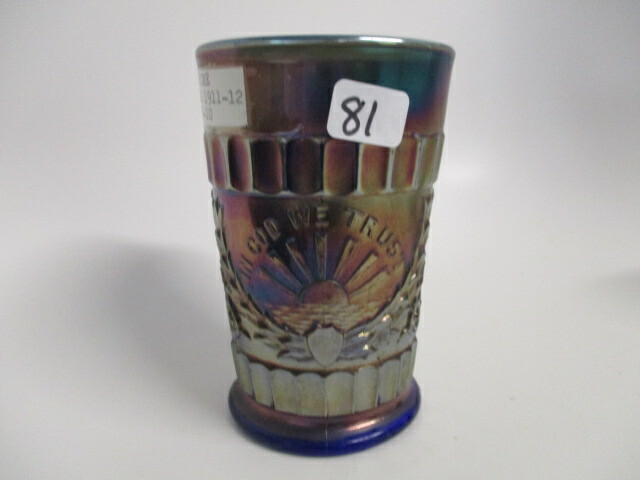 Once considered the epitome of Carnival, God and Home has lost a bit of its lustre but still commands an excellent price. 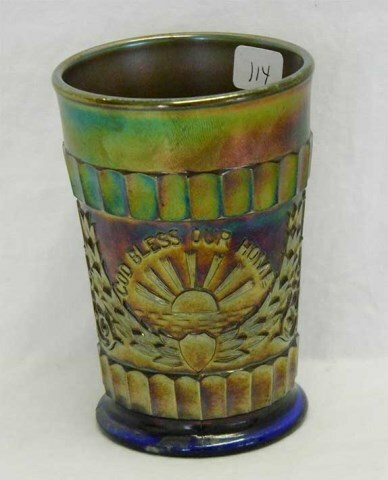 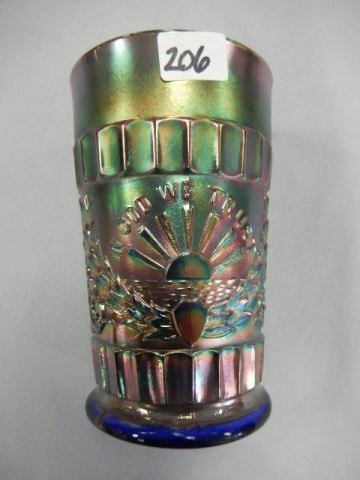 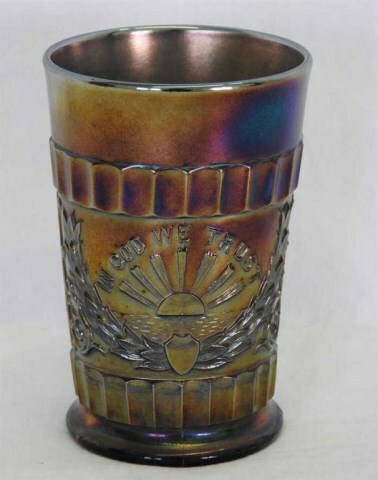 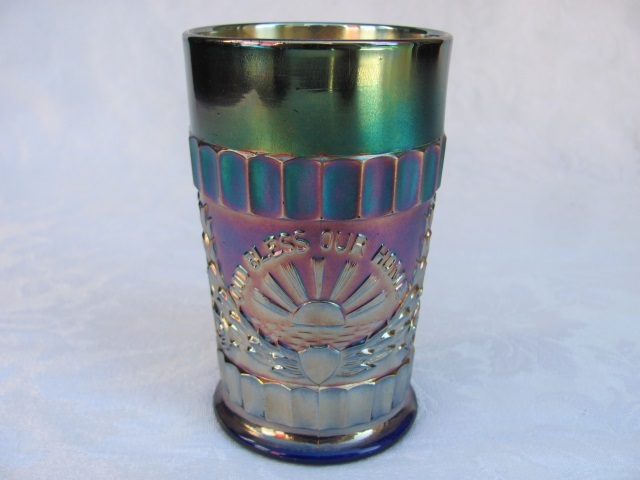 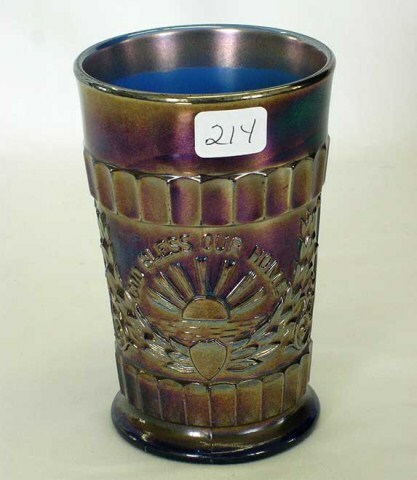 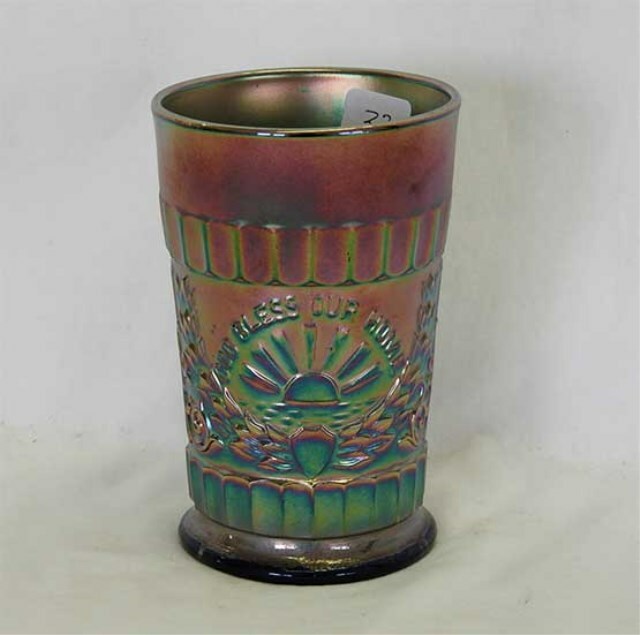 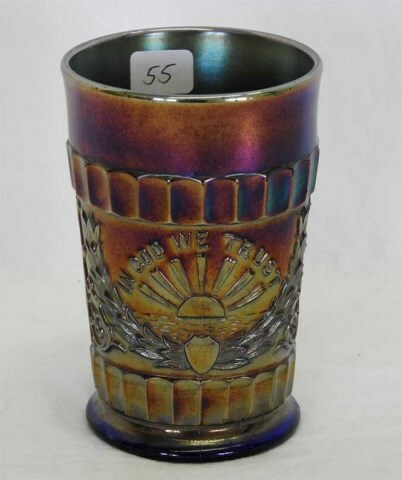 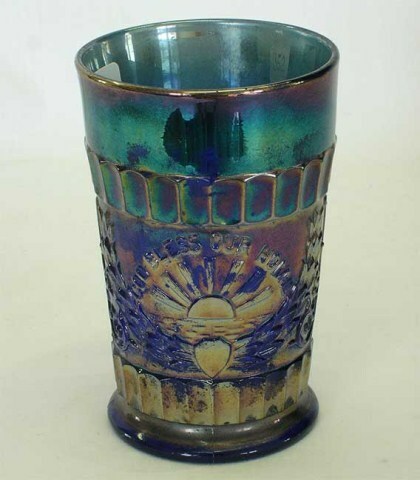 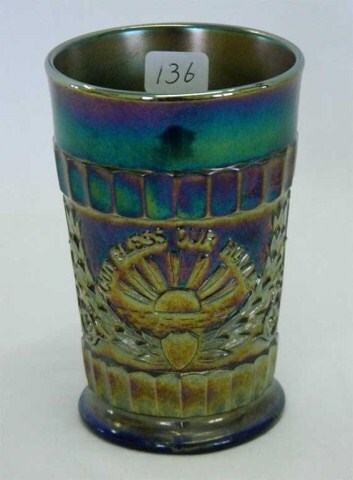 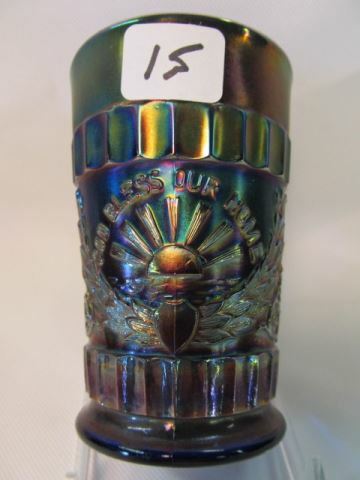 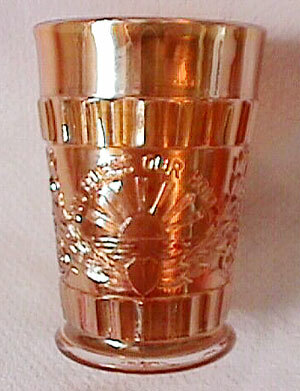 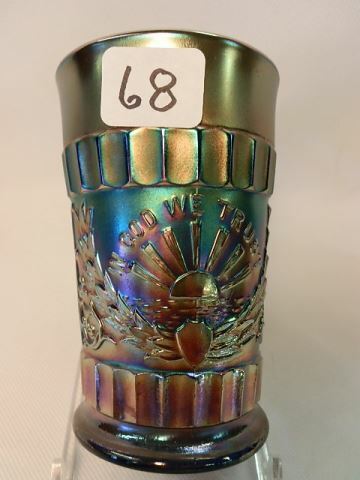 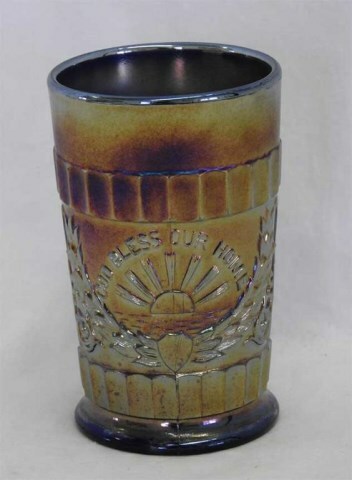 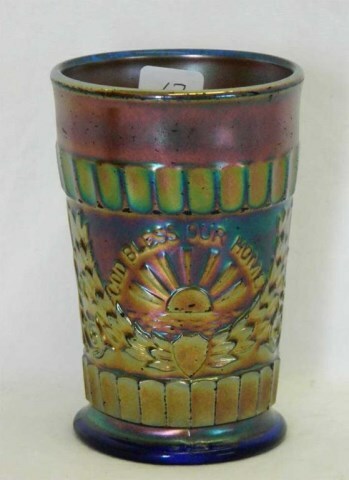 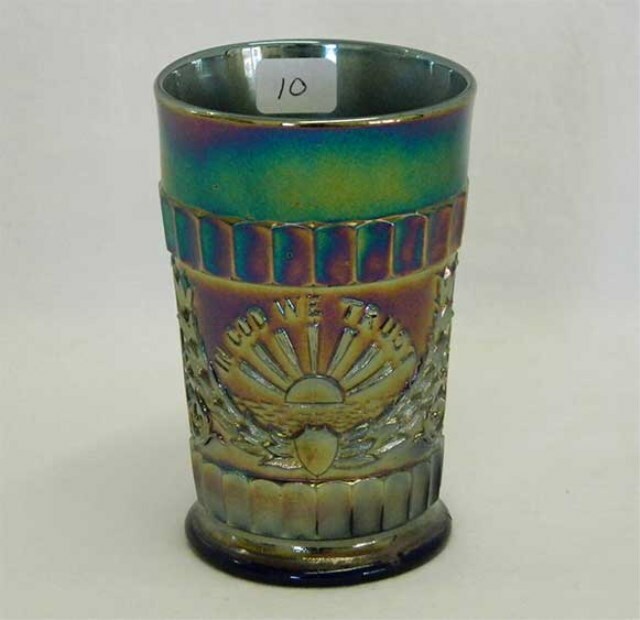 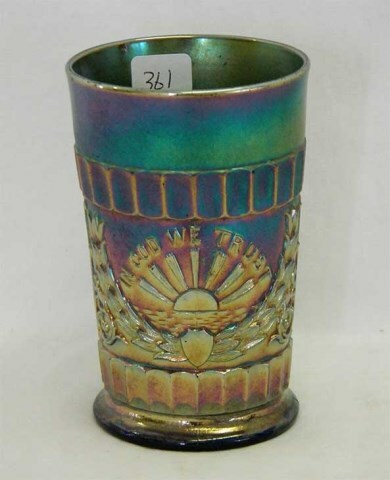 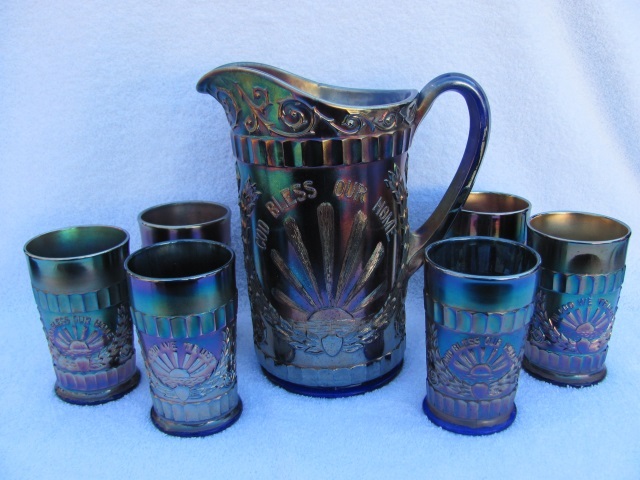 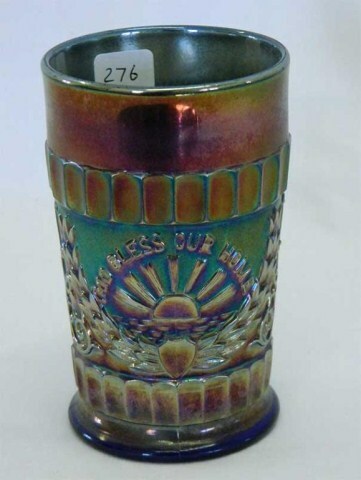 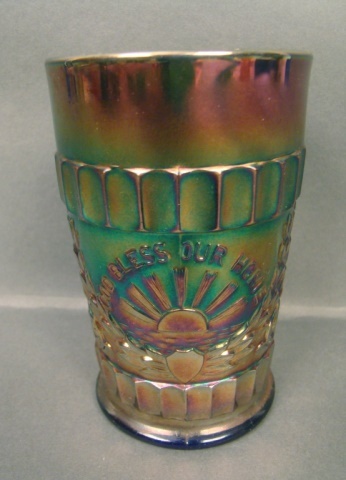 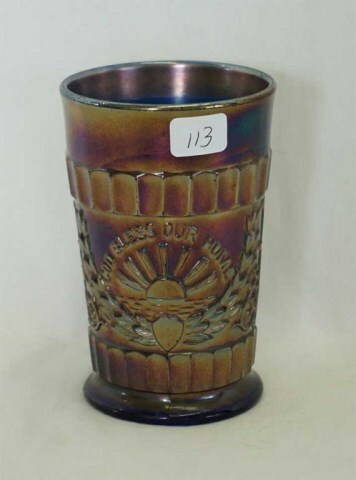 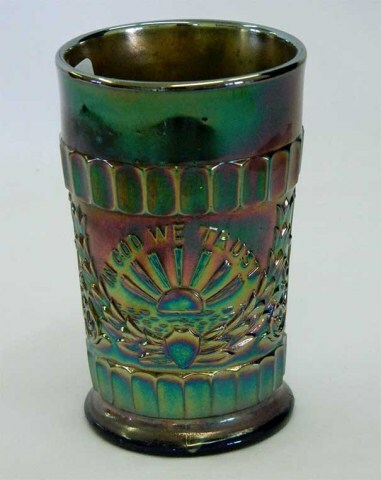 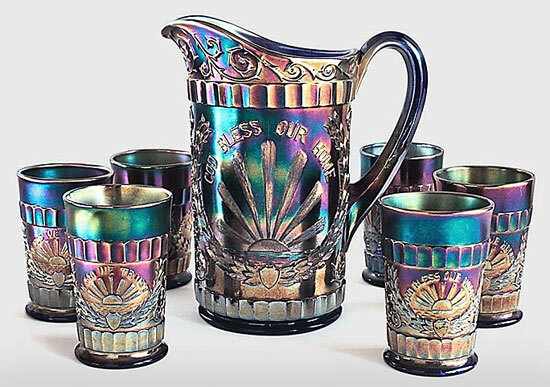 The tumblers are thought to have been given away as store premiums; the pitcher awarded when six tumblers had been acquired. 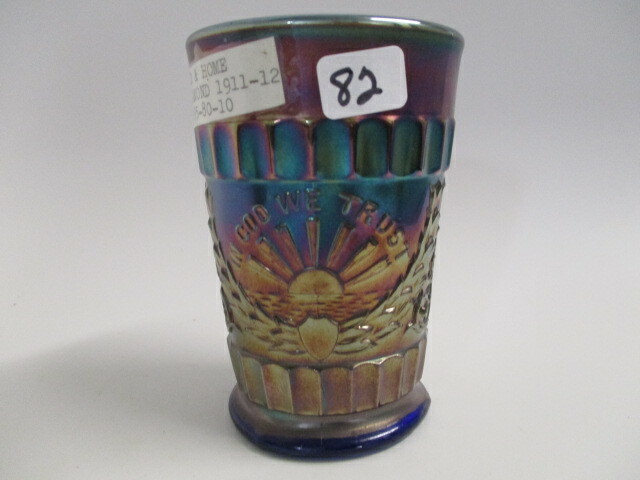 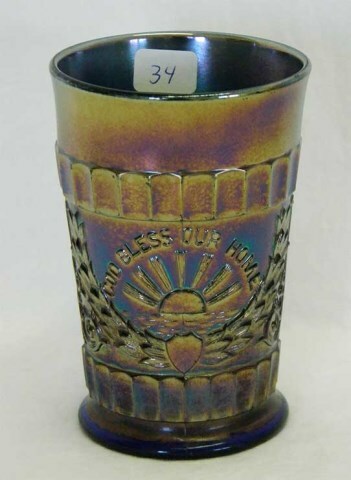 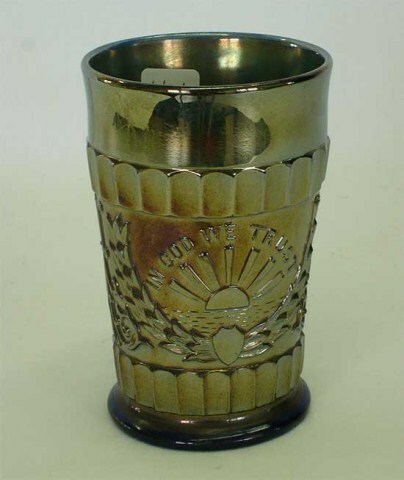 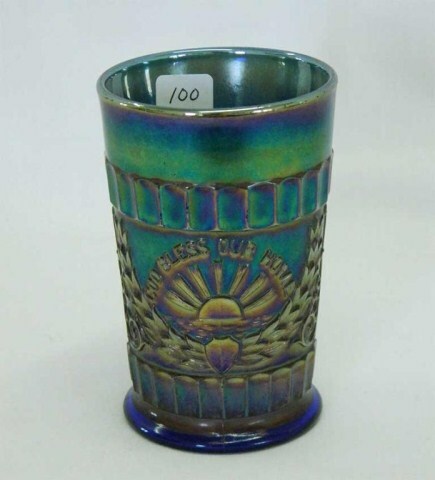 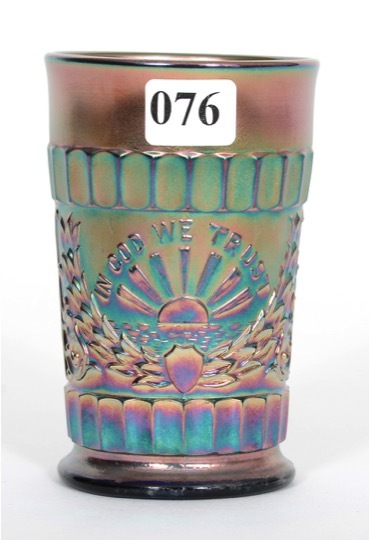 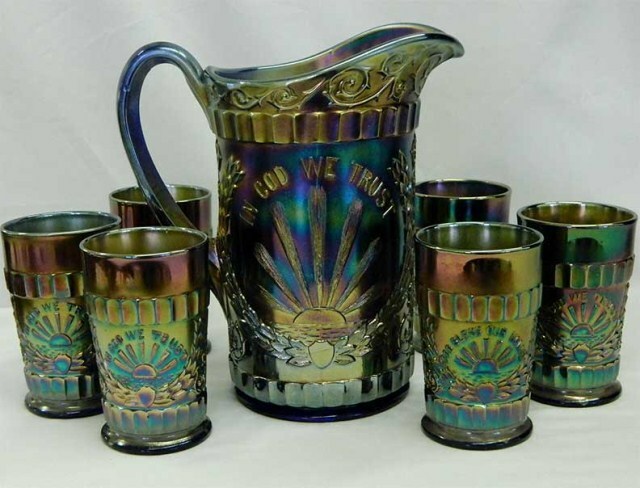 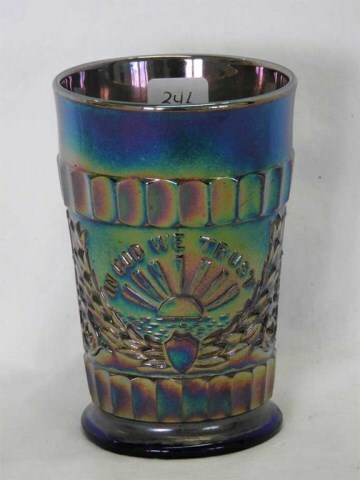 With both pitchers and tumblers, one side is lettered with “In God We Trust,” the other side “God Bless Our Home.” The original set is known only in blue but, has been reproduced in other colors. 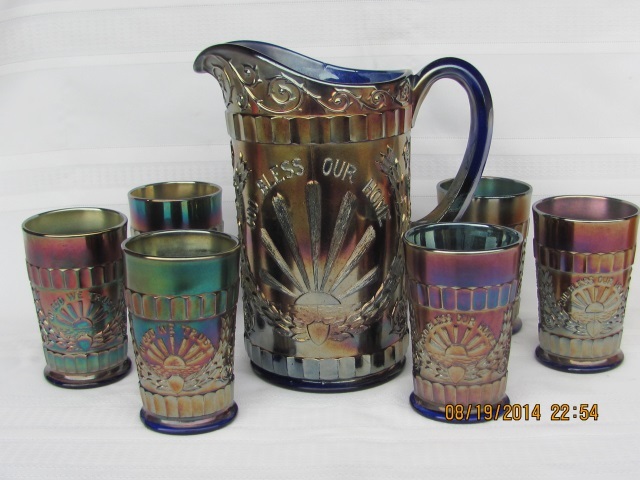 Above right is the first reported marigold God & Home tumbler, was sent by Donald Farrel.